As a Freelancer, you need to be able to manage your cash flow to ensure that you have enough money to pay for all your expenses. This is not an easy task, especially when you are starting out. This Quick Guide will highlight the best practices that you should use as a freelancer to ensure that you manage your cash flow wisely. Starting out as a Freelancer can prove difficult. That is the reason that you should build up your savings in advance to ensure that you have a source of cash if you find yourself in a difficult position. It is best to ensure that you have enough savings to cover you for up to six months. This will also ensure that you have enough to cover any tax payments that you may have to make. All your customers should be aware of your payment terms. These should be communicated form the first meeting, in the contract terms and conditions and again on invoices. It is best to ensure that you receive a deposit up-front is possible. It is also advised that terms and conditions on late payments such as interest charged on late payments should be agreed upon in writing if possible from the start of the business relationship. As soon as work is completed, you should print and send the invoice to your customer. Ensure that you list your name and address as well as a unique invoice number. The customer’s name and address must also be present as well as the date. All goods, quantity, description and total amount excluding VAT must also appear on the invoice. These must all be stated clearly. Ensure that you list your payment terms and details on the invoice as well. It is best to send this out by email so that you have a copy when and to whom it was sent to in case you have any payment disputes. Forecasting your cash flow in advance is a good way to gain a picture of what your future cash flow may look like. Look at both expenses that need to be paid and income that you should receive in a specified period. Expenses are normally fixed for each month and so that makes forecasting the amount that you will need per month easy to forecast. By forecasting how much of your income you should save to cover these expenses is a good way to ensure that you never fall into the red. 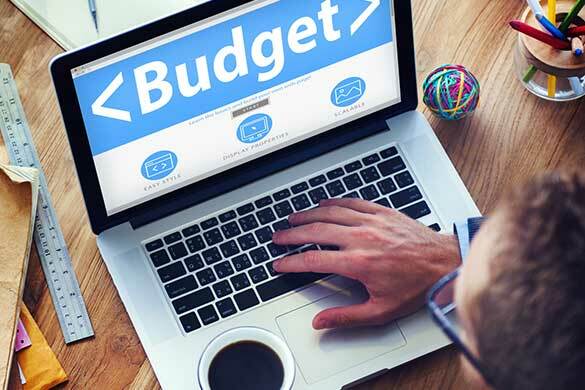 We recommend using a good online accounting software to help you better manage your Cash Flow, using bank integration helps you forecast and budget your expenses.